Now that I have been in school for two and a half weeks and it’s like summer never was or will ever be again, I took the time to update something that has been on my list forever. And/or someone emailed me asking if I could send an editable version so that they could translate it into Spanish. And then when I tried to find the original document, I couldn’t. Because I made it over two years ago in an attempt to open my store on TpT and it was kind of a mad dash and a here you go, I don’t know what I’m doing, but if it has borders and clipart, surely it will suffice, right? Oh, but I am here to tell you that I’ve learned a few things. One: Some clipart is actually cuter than others. Two: Some borders look better than others. I was just a TpT baby back then. Now I’m all growed up. And yes, I meant to say growed. And now you’re supposed to giggle because I said growed. 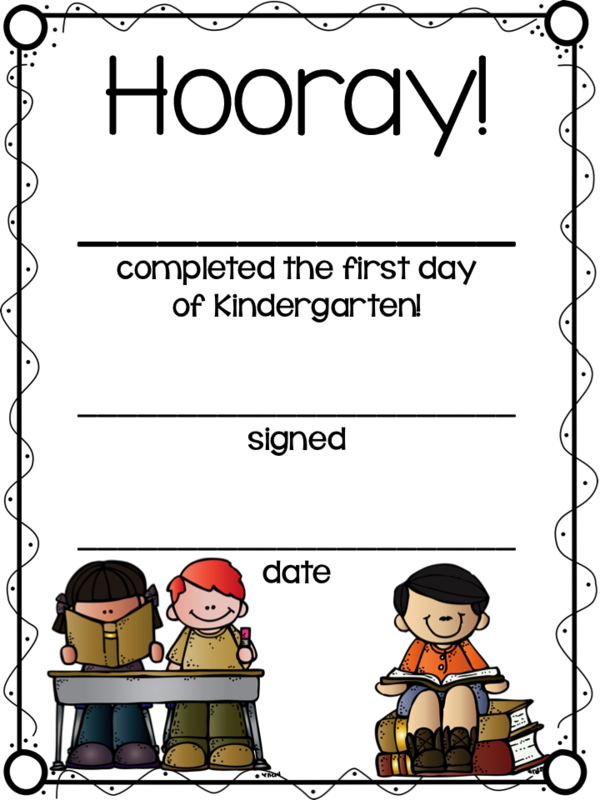 If you haven’t had your first day of school yet, and I am in no way laughing at you or pointing at you or saying neener neener because mine is over and yours is yet to come, but if you haven’t had your first day of school yet, maybe you need a little something-something. And, if you do, here you go. And, if you don’t, no biggie. And, if you happen to have the other old ugly ones, please re-download the new ones and throw the other ones away, and if you have a trash compactor, even better. Or, let’s all just use a paper shredder instead. Now that I’ve built these up into something amazing (as I tend to do) and they’re actually nothing very exciting (as they usually aren’t), here are some samples. 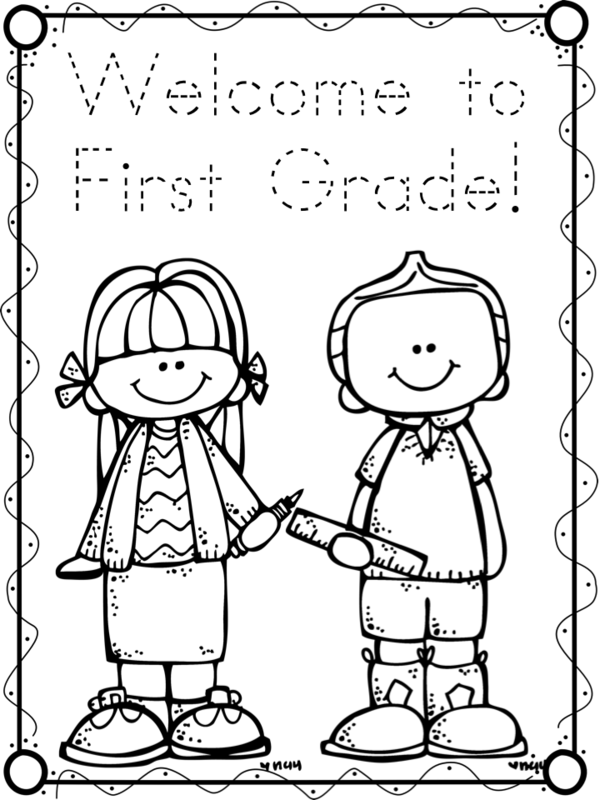 The coloring pages are only in black and white, but the certificates also come in color. 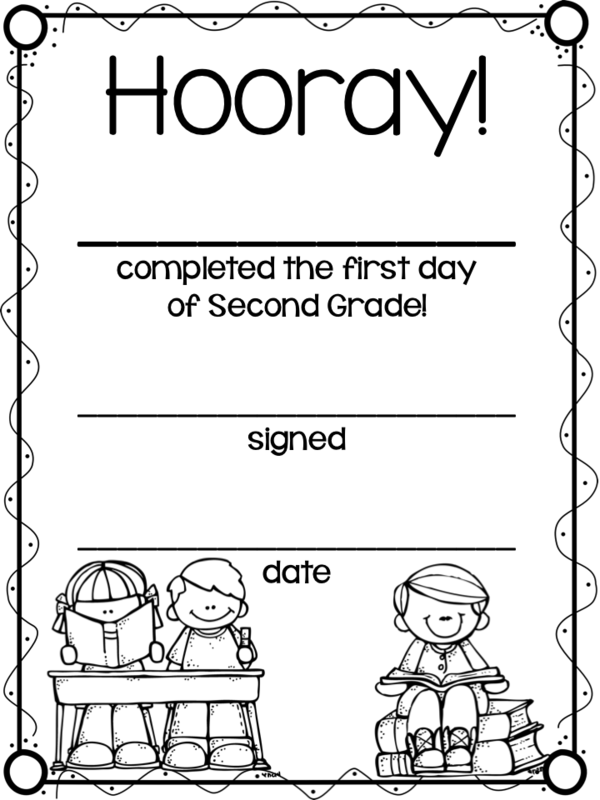 For Grades K-2. In my TpT store. For free. And that’s all I have for today. Except to say that we have a three day weekend coming up. I love the certificates, cute idea. Thanks for sharing! I love those certificates too! I LOVE the pack! We've already been in school for 4 weeks, so I'm going to use the "Welcome to Kindergarten" page as an Open House pack cover and let my kiddos trace and color it. LOVING that the pack will have a personal touch. THANK YOU!! !